There are a wealth of recommendations and tips out there on how to get just the right image for your LinkedIn profile. Given the amazing stats on how powerful this professional network is (“Every second 2 new members join LinkedIn”) you want to make sure you get the maximum efficiency from your presence there. David Locke along with his team of professional photographers from Headshot London have been helping clients throughout the years to create professional corporate headshots which get them noticed and make the right impression. 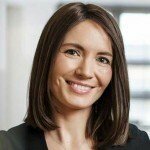 Over the years, we’ve been connecting with friends and clients on social networks and have noticed that many of them still use the portraits we created as their LinkedIn profile picture. We do love that. Having said that, according to LinkedIn, it is highly recommended to keep your profile up-to-date. 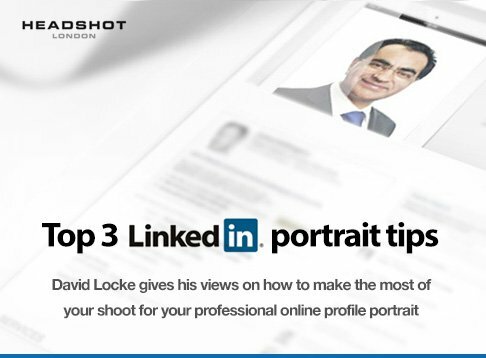 For those who might be in need of a picture ‘upgrade’ or would like to get a new shot before their job hunt takes off, have a look at the top three tips from Head of Photography, David Locke when considering your LinkedIn profile picture. 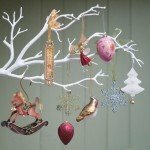 Think about how your image can support the message or content of your profile. There is an old saying – ‘Look the part, be the part’. If you work in an corporate environment, present yourself as such. You might want to have a haircut and drop your suit into the dry cleaners before your shoot. If you are in an creative field you can be a little more casual and relaxed, however, do not underestimate the importance of your outfit. Either way, make sure your clothing is immaculate, you won’t be doing your portrait again for a year or two, so keep it in mind. 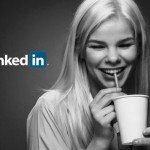 Look at the size of LinkedIn’s image and you’ll see that there is not a lot of ‘real estate’ to play with. Maximise on the space you have with a head and top of the shoulders shot – fill the image and ensure the background is not too busy. It doesn’t matter if you choose to shoot indoor or outdoor, keep the background simple so you don’t detract from the main subject… YOU! It would be more typical to find a colour image these days but as a fan of Black & White, I would say that a well lit Black & White can look striking and very forgiving and the more drama the lighting can inject, the better the Black & White image will be. This might be a less appropriate option if you work in a corporate environment like Banking or Law but a great option if you’re in the creative fields like Architecture or Media. There is no right or wrong answer to whether you use Black & White or Colour it’s really just a question of preference by you or your company.